This is not really a question that many people give much thought to since eating is something we all do and food is simply the stuff we eat, right? Well, there is plenty of stuff we eat, but is it necessarily food? When we look at the actual definition of food, it is usually along the lines of ‘material, usually of plant or animal origin, that contains essential nutrients consumed to produce energy, stimulate growth and maintain life’. Unfortunately, in today’s society of having to supply food for an ever increasing population, mass production calls for so much modification to the food that the nutritional value is greatly diminished. So even food that originates from plants or animals, can be poor in terms of the energy it provides. So maybe we do need to start to rethink what we actually call food! Instead, we should look at what it is our bodies need to produce energy, stimulate growth and maintain life. Once we condition ourselves to those basics, we can start to think of all of the other stuff we call food as unnecessary. Don’t get me wrong here, though, just because it may be unnecessary, doesn’t mean that we don’t want it or don’t enjoy it! All I am saying is that once we are more aware of this, the more we actually think about what it is we are eating and the decision of what we actually eat is a little more informed. What our bodies really do need are the essential nutrients known collectively as macronutrients. These provide us with the energy we require to live. These are carbohydrates, protein and fats. Water is sometimes classified as a macronutrient, however while it is a vital component in our body's functioning, it is not actually an energy source. Metabolism is the physical and chemical processes used to convert the material (food) you consume to produce energy, stimulate growth and maintain life. Your body will require a certain amount of energy (measured as calories or kilojoules) for these systems to operate. Your body will then require more energy for you to perform all other activities other than simply keeping alive. All foods that you consume have an energy value. Your metabolic rate (the rate at which your body uses energy just to keep you alive) will determine the minimum amount of food (energy) that you need to consume. In addition to the minimum amount, you will then need to consume enough food (energy) to support the level of activity you are performing. 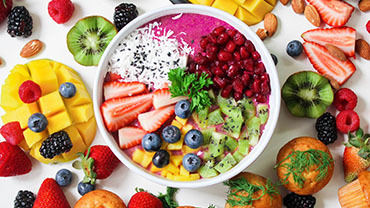 When you are eating sufficient food for these processes to occur, without having an excess of energy, then you are achieving the calorie balance. When you are consuming more food than your body requires, your body will convert the excess energy to fat in order to use it later. If you are continually supplying your body with more energy than it requires, then those fat stores will not be required and fat will continue to be stored by the body. This is why calorie counting can be an effective method of maintaining the calorie balance. This method can work for many people for weight loss as well as those building muscle. There are some great apps available to be able to quickly determine the amount of calories in food as well as the number you burn through exercise. However, not all calories are created equal! Whilst two different foods may have the same calorie count, the way the body processes them because of their composition may be totally different. 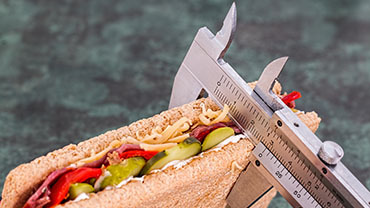 If you are looking at using calorie counting as a method of controlling your weight, you also need to be aware of what the nutritional values of the foods. This will ensure eating nutritionally rich food not just calorie appropriate. Empty calories refer to foods that may be high in calories but have little or no nutritional value. These include foods that contain solid fats or added sugars. If you are looking for a snack in between meals, while a chocolate bar or a pack of chips may satisfy the taste buds, they will be processed quickly by the body. Unless you are quite active, these will be converted to fat. For the same calories, you could have vegetable sticks and salsa or any number of other, sweeter but healthier options! Not only will this give you a greater nutritional value, it will keep you fuller for longer, thus not requiring a second snack quite as soon!